Warner Sales & Service is located on Greenway New London Rd, just off Rte 365 between Rome and Verona. We specialize in Bobcat Skid Steer Loader, Compact Excavators, Track Loaders, Utility Vehicles. We have a wide range of attachments to meet your needs. 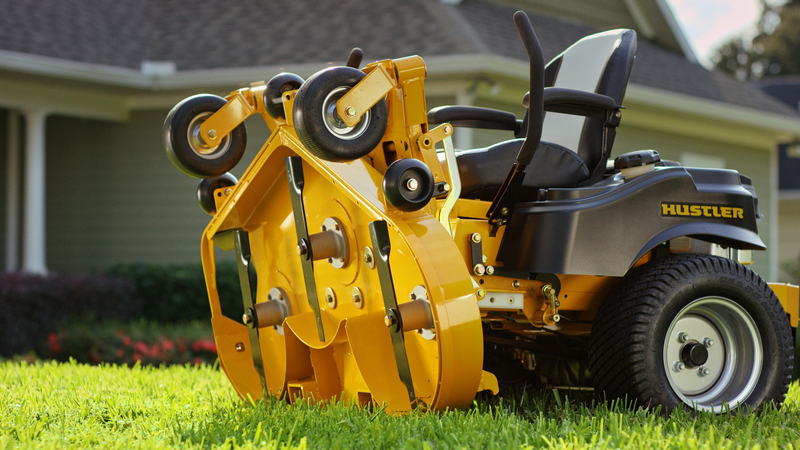 Also in stock Hustler Turf Equipment, Commercial and Residential Zero Turn Mowers and the new Hustler MDV. 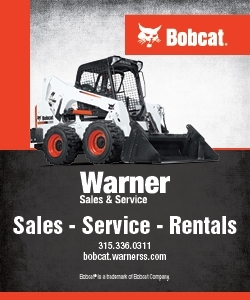 Warner’s has been selling, servicing, and renting Bobcat Skid Steer Loaders, Excavators, and utility products for over 30 years. Our Sales Specialists and Service Technicians have the knowledge and experience to find you the right equipment for your job and to keep you working till the job is done. Warner’s has an established customer base of farmers, contractors, material handling facilities, municipalities, schools, landscapers, and private individuals. Our main focus is on the surrounding counties of Oneida, Madison, and Herkimer. Owners Eric Warner and Lynne Stocker invite you to stop in or call. Customer satisfaction is our main focus. We look forward to helping you stay in today’s competitive market with the best equipment and service available. Servicing customers in the Central New York area since 1985. Thank you for visiting our Web site. We welcome your business. Check Out Our Specials, And Pre-Owned Inventory!!! !